For over sixty years, the Chanticleer Theater has brought wholesome entertainment, quality educational programs for children, and the performing arts to our community. 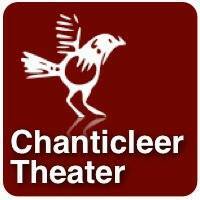 Chanticleer entertains 10,000 patrons per season, and is a cornerstone for the creative theater community. Since our start in 1952, we have shared our love and passion for music and the arts with the greater Council Bluffs Metro Area. We pride ourselves on our history, having presented all types of shows including the classics, regional premiers, cutting-edge new releases, and family-centered performances. We encourage community involvement by hiring only local directors and casting local actors for our productions. We consider ourselves a valuable asset to cultural development and the local community theaters. Friday and Saturday nights at 7:30 p.m. and Sunday matinees at 2:00 p.m.
Come join them at the last musical set to take place in their current home on Franklin Street!